If you need to hire professional pipe burst Plainview technicians, look no further than 911 Restoration Long Island with our combined disaster restoration experience of over 35 years. Because our little city was first developed during the 1600s, this area has several very old buildings that require specialized care from our licensed technicians. When a toilet overflows or water pipe bursts inside an estate visited by tourists, we arrive within 45 minutes to begin repairs to prevent an inconvenience for a property manager. We keep our company’s trucks loaded with plumbing equipment to make an efficient repair at an affordable price. This geographic area of New York receives a lot of damage due to numerous rainstorms that cause roof and foundation leaks. Two simple ways to keep water out of your home are to effectively use gutters and sump pumps. Remove debris such as leaves and other buildup from your gutters and downspouts to help move water away from your property as much as possible Sump pumps can help you to stay one step ahead of basement flooding. Even with preventative measures properly in place, no one is truly safe. When water leaks do occur, call our water damage Plainview techs who are available 24/7/365 for a free inspection to determine the type of disaster restoration services needed. Same day service is necessary for water removal to prevent structural damage to your home as moisture seeps into drywall and carpeting. Insured technicians begin working by verifying that utility and water lines are turned off to prevent injuries. Our water damage Plainview crew always bring along industrial-strength water extraction devices to remove moisture from carpeting, flooring and padding. Fast removal of sewage that contains pathogens can help to prevent mold growth in a flooded building. 911 Restoration always put the customer first by improving a building’s air quality quickly by placing fans near windows and doors to eliminate high humidity levels. We can seal vents and rooms to prevent mold spores from settling on additional surfaces such as furniture and ductwork. Professional water restoration involves a cleanup of the current mess while preventing problems that can occur later. To prevent mold from growing on surfaces, we apply specialized chemicals that will destroy spores. Odor control is also a service that must begin immediately with an application of deodorizing agents to rugs, drywall and cabinets. 911 Restoration Long Island has the latest drying technology to get rid of as much moisture as possible to prevent ruining wall insulation and wiring. As technicians work on a building, they document damage and repairs with paperwork and photographs to supply the information to a property manager or homeowner’s insurance company. We begin with a free inspection and pride ourselves on professionalism and affordable prices. Our staff understands how to work with all insurance companies to receive maximum reimbursement for our professional water removal services. If your home or storefront is already amid a flooding scenario, then contact our water damage Plainview team with 911 Restoration Long Island for a fast resolution today! Due to all of the hard work our water damage Plainview specialists put in to take care of our customers and their homes, 911 Restoration Long Island is clearly the best water damage company in Plainview. 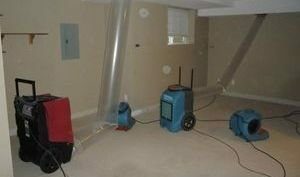 Our years of experience in water damage restoration has led us to many discoveries. This includes the fact that the best way to avoid mold and hefty repair costs is by avoiding water damage in the first place. When you call 911 Restoration Long Island, we’ll provide you with a free inspection of your entire home to check for potential problems that could lead to future headaches. Just because the city of Plainview, New York is all land, that doesn’t mean that water damage can’t strike and cause an emergency for you and your family. So before that happens call the company that takes good care of you, 911 Restoration Long Island, and we’ll send out a qualified water damage Plainview to your home to give you a free inspection today!